Note:While we do state on our website that we require volunteer applicants to be at least 20 years of age, we are willing to make exceptions for motivated, mature, and driven volunteers. We have found that individuals falling between the ages of 20-60 fulfill the mature and responsible demeanor that we are seeking, but we are more than willing to evaluate applicants on a case-by-case basis and would gladly welcome your application form. Demonstrate cultural sensitivity, adaptability, flexibility, and tolerance. Have attained at least a high school diploma. Possess a passport to eligible to enter Thailand legally. Be willing to volunteer a minimum of 30 days. The ICCVTT requires a minimum one-month time commitment from volunteers. We are unable to accommodate any volunteer stay under the one-month requirement. Please abide by this standard when selecting your volunteer start and end date.When selecting volunteer term dates please keep in mind that the ICCVTT host volunteer between May 16- September 30, and from November 1- March. 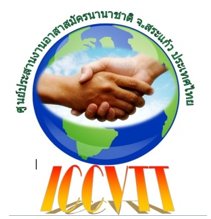 (The ICCVTT does not host volunteers between March 16-May 16, and from October 1- October 30. These periods are a public holiday for our students), and we ask that you please arrange your intended volunteer term around these dates. we have found through experience that a service period shorter than one month leads to much inconsistency within the classroom, and actually proves to be detrimental to our students. Able to cover own travel costs,air ticket, travel insurance and some on-site costs, personal items such as shampoo, laundry detergent medicine, etc.